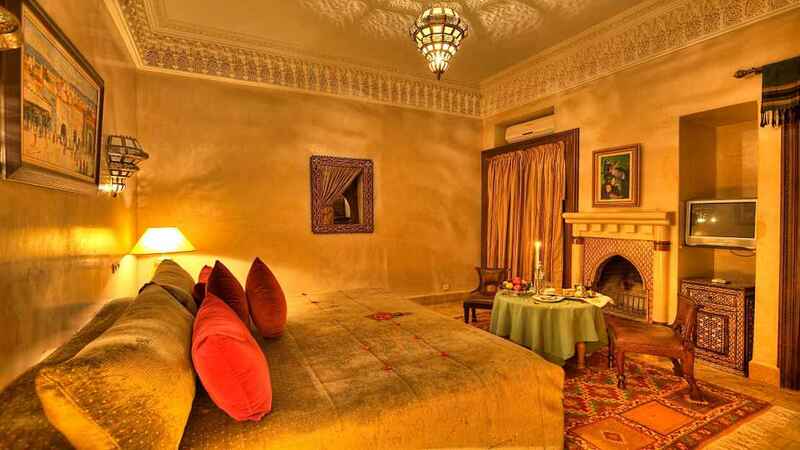 Just a short stroll from the magical myriad that is the Marrakech Medina, the Riad Kniza is the perfect, romantic hideaway for those seeking a once-in-a-lifetime trip of culture and colour. 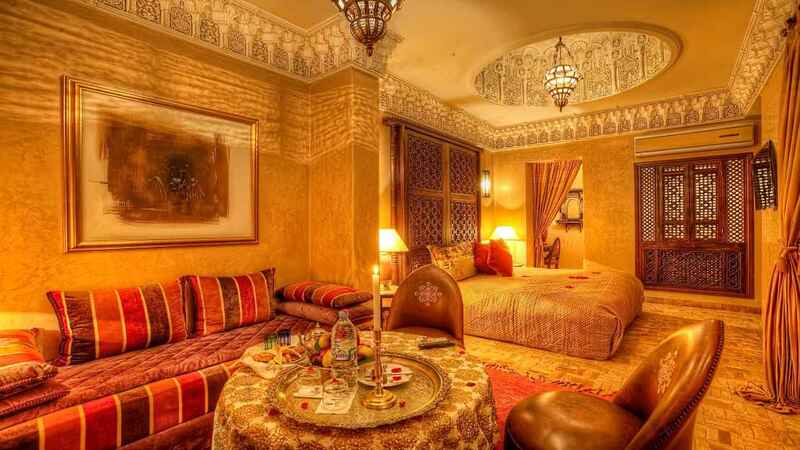 Rooms are adorned with plush-jewel toned furnishings along with ornate lanterns casting romantic and intricate patterns against warm, beige-coloured walls. The onsite restaurant offers the finest, freshest Moroccan cuisine where meals are ordered a day in advance so that the chef can shop for local produce on the morning of the meal. For the further pleasure of guests, Riad Kniza offers a stunning spa with a vivid turquoise swimming pool and a charming courtyard and roof terrace. The Riad is situated within a popular area of Morocco, just a short stroll from the bustling Medina. Marrakech Menara Airport is approximately 6.2km away from the Riad.